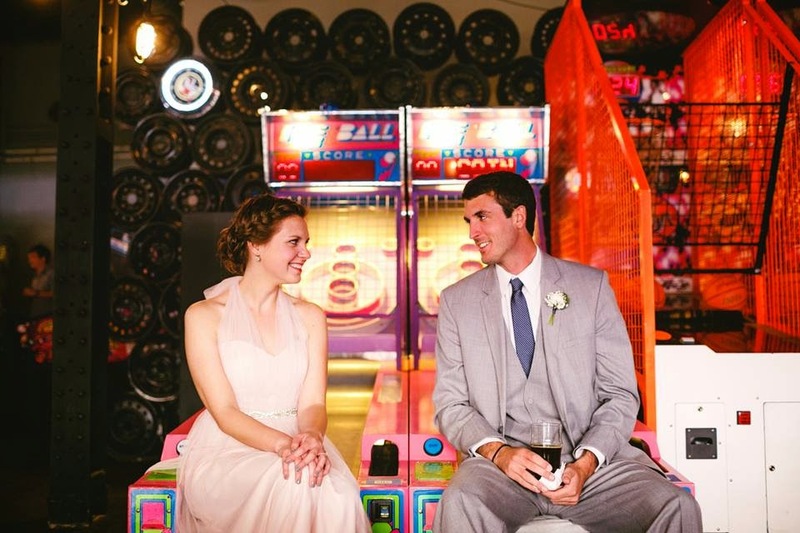 Holly and Rob's wedding this week-end was one of the sweetest, most original, nontraditional I've ever done. Since I am a very nontraditional person who loves surprises, this was right down my alley. The overall feel for the entire day was mid-century vintage. They chose as their venue the repurposed, refurbished Kress Building in downtown Birmingham . From about the nineteen thirties through the nineties, Kress was a five and dime store in downtown Birmingham. The new century brought new life for the building as a local law firm saw its potential. 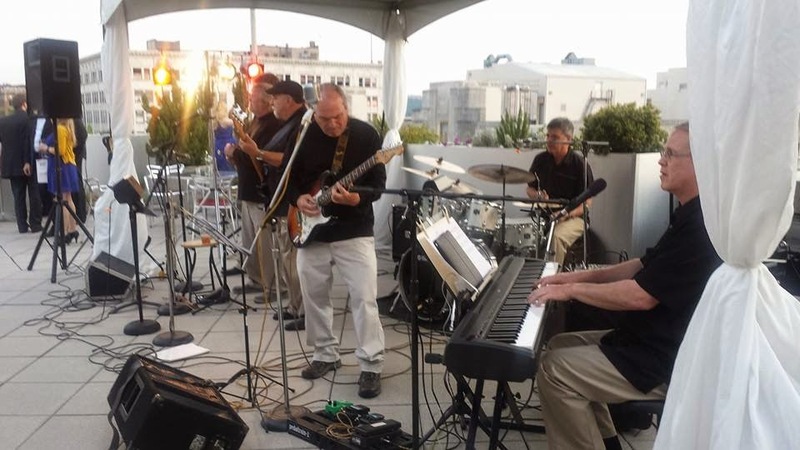 The building's rooftop venue overlooks the arising theater district of the City, while a local theater group is housed in the basement where the store's soda fountain was, very popular during its heyday. (I could write a very lengthy post about the many Saturdays I spent there after attending matinees at the nearby historic +Alabama Theatre and +Lyric Theatre). The location produced many wonderful photo opps for the couple and their photographer, +Mary Margaret Smith during the day . 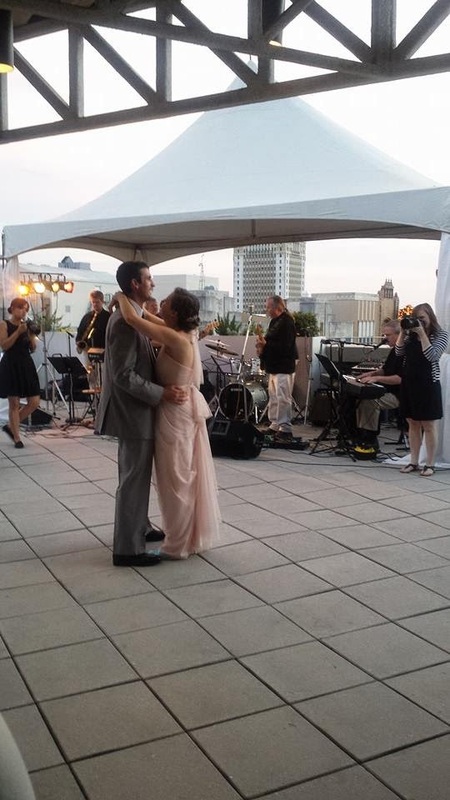 So, this wedding created many deja vu moments for me from the very beginning of the day, as I stood on that rooftop, soaking in all the memorable marquis and buildings which later served as the backdrop for our band, called Deja Blue, appropriately. From Holly's sweet, blush pink chiffon gown and blue open-toe pumps to the bridesmaids' polka dot, fifties-styled dresses, the entire day portrayed that mid-century feel beautifully. The building's lobby was draped by +Alex Garmon and +Event Rentals Unlimited to transform it into a dramatic wedding white ceremony space. 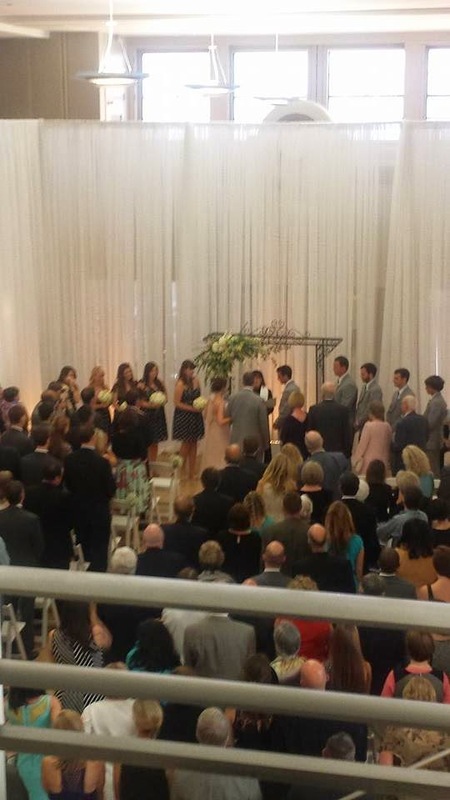 The couple chose some of the Beatles famous love songs to use for their processional music -- "Blackbirds Singing," "Across the Universe," several others -- creating a few tears in my eyes along with those of many of their guests. So Special!! The roof-top reception continued that vintage feel as guests signed in using metallic pens on specially-selected vinyl records. Holly and Rob chose albums from some of the concerts they have attended together-- very original and creative. Long, burlap covered tables were lined with mercury glass votive candles, mason jars and bottles tastefully filled with fragrant stems by +Mandy Majerik of +HotHouse Design Studio . 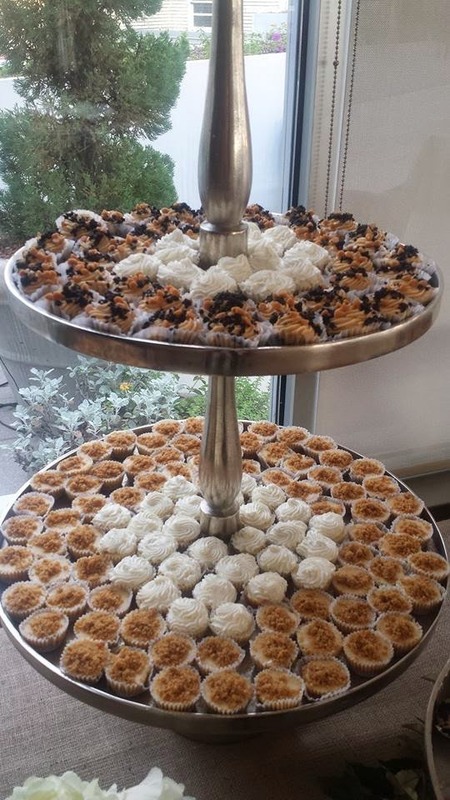 Not only did guests enjoy the atmosphere, food and dancing, but the hit of the evening was the special dessert table. 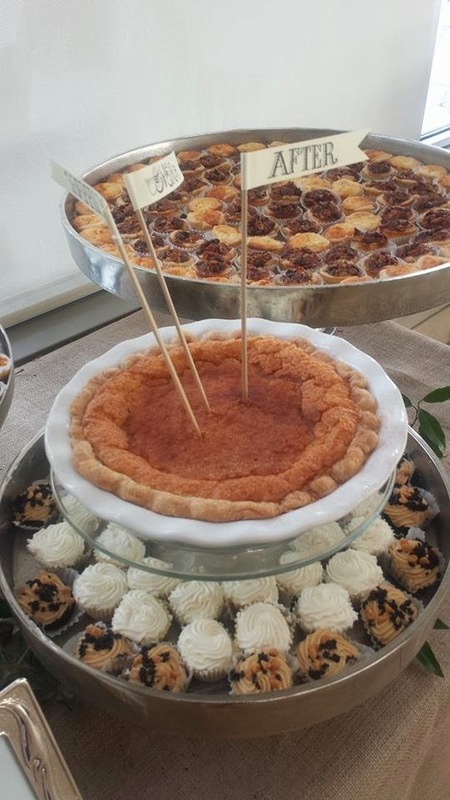 The bride and groom chose to have a mini-pie bar instead of a wedding cake. One final, special surprise was when the bride's dad brought out his guitar to play and sing a song he had written for Holly and Rob -- not your typical love song, but special nonetheless. It is one Holly and Rob will be singing in their heads for a long time to come. Oh, what a night!! Thanks to my tried and true assistant coordinator, +Hayden Slaughter for the use of her images. She even takes time to snap some great shots.